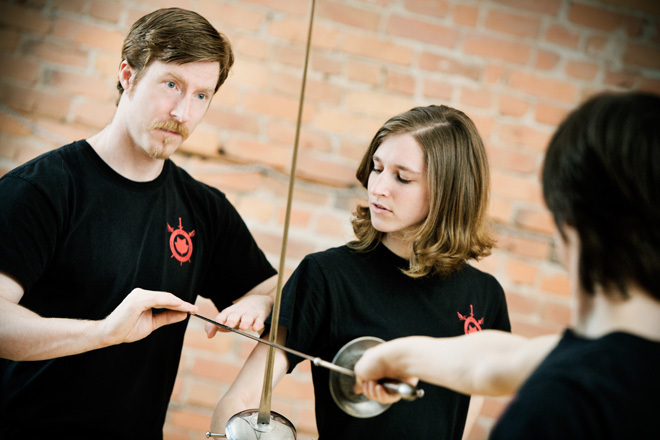 PlayFighting.ca is a blog of Vancouver fight choreographer David McCormick who is the Assistant Fight Director for Bard on the Beach 2013, with the support of a Canada Council grant. I teach actors safe and effective stage combat, customized for a play/film or in a school environment. PlayFighting is both “Fighting in Plays” (stage combat) and “Playing at Fighting” which encompasses many forms of combat experimentation. All stage combat is based on some reality of violence, and learning what real fighting looks like is important. However, stage combat is the illusion of violence, so I teach techniques that are safe for the performers, and tell a clear story for the audience, even though that might not be how a “real” technique would work. Safety of the performers and the audience. This includes the fitness of the actors. Storytelling: That the action makes sense for the characters involved. Style: That the techniques look great and have grounding in history and geography. If you love the illusion of violence, keep checking in with us. If you have a project that requires a fight choreographer who will build Safety, Storytelling and Style into every act of aggression, hire me. If you need an actor who can fight with any weapon your script demands, cast me. Here are my Resume and Headshots.